This epidemic of self-doubts and criticisms will creep in on anyone with half a brain in their head. It’s a ghastly condition that can cripple a roster of fresh graduates and even established adults looking to make a life change with one simple rejection letter (or email). Having recently gone through graduate school while accruing some impressive student loan debt, I sympathize most with students. With the rising costs of student loans, and the inability for grants and government assistance to keep pace, recent graduates come out of school with the heavy burden of debt and uncertainty fresh on their minds when they should be concerned about their initiation into the adult world. “Ok,” you think to yourself, “I’ll apply to every job I am qualified for and everything will be fine.” Then the rejection letters (more commonly emails) come. “Okay, I’ll apply to jobs I don’t really want but I can get right now.” You keep waiting, keep applying, and maybe if you’re lucky you’ll catch a break with a temporary position; and maybe if you’re power ball lucky you’ll find a full-time job doing what you love and went to college for. The old paradox of “you need experience to get experience” is still an infectious and irrevocable truth today. If you believe the stories (now seemingly mythological) we were told as children, 40 years ago if you went to college you were guaranteed a well-paying job after you graduated. Maybe not your ideal dream job, but something with a living wage, a place to start. We are told repeatedly by our families, counselors, and teachers that a four-year degree is vital for making a living. They’re right, and yet according to the National Center for Education statistics, in 2011 the national graduation rate for a bachelor’s degree obtained within six years was a dismal 59 percent. That’s an F to put a letter-grade to it. The job market across the board remains fiercely competitive and favors specialized skills. Many students and professors I’ve talked to blame the low numbers of available positions on the rising cost of tuition, waning federal funding, and the lack of job security. Over the last 50 years even minimum wage has barely budged when compared to soaring inflation rates, and the outlook for people who successfully complete a degree program is no longer optimistic and hopeful. For non-degree holding workers, the outlook is abysmal. I continue to feel that for millennial and pre-millennial generations the American Dream is in its death throes, if not dead entirely. I can only offer advice and comfort as I stumble into and grasp desperately. The most difficult part of the entire experience is having the resolve to keep trying long after the rejections start coming. My advice? Apply for any and all jobs that remotely interest you. Keep your pride but don’t be afraid to lower your standards a bit, especially if you’re one of my fellow post-collegiate initiates playing the short-term game. Whatever your field or your current situation, don’t stop working to make it better. 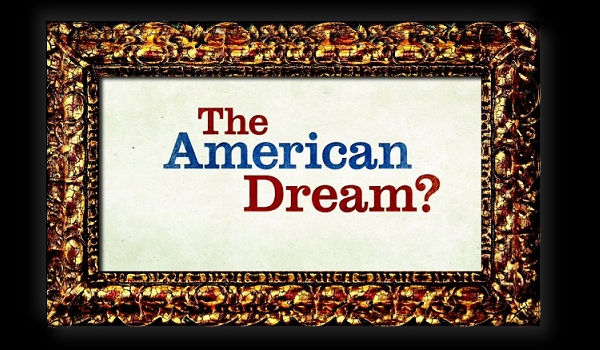 We are still an embodiment of the American Dream, no matter how bleak it may seem now. This entry was posted in Economy & Policy and tagged creativity, cultural change. Bookmark the permalink.